An instructive article appeared yesterday at the Nyelv és Tudomány (Science and Language) portal, from the keyboard of László Fejes. The article entitled Honnan jött az isten? (“Where did god come from?”) tries to unravel the origin of the Hungarian word isten, ʻgod’, and the lesson is that only God knows. The TESz, that is, the etymological dictionary of the Hungarian language, as we have already pointed out a couple of times here at río Wang, now shoots wide of the mark again, when it relates the first element is- with the word ős, ʻancient, forefather’, which phonetically sounds unlikely. The historian András Róna-Tas suggests that it might come from the name of the Hittite sun god Ištanu, but the gap of 1800 years between the Hittite origin and the assumed reception excludes it. And Károly Rédei in his article “Isten szavunk eredete” (“The origin of our word Isten, ʻGod’”, Magyar Nyelv XCV (1999) 1, 40-45) regards it an Iranian loan word, and derives it from the Middle Iranian *ištān, ʻhonored’ (plural). I also want to contribute to the small shop of etymologies with an attractive piece of merchandise, which may not be the most convincing, but is definitely the oldest. It comes from the eleven-language dictionary of Calepinus, published in 1590 in Basle, which I happen to have here on my bookshelf. ;) I found this bulky folio volume some thirty year ago in a waste paper recycling shop, and purchased it at the price of scrap paper, for about one euro in today’s currency. The Augustinian monk Ambrosius Calepinus (1440-1510) published in Reggio in 1502 his great Latin dictionary, which, next to the definition of the words, quoted several examples of their use from classical authors. The dictionary immediately became very popular, with dozens of editions throughout the centuries, which also included equivalents to the Latin words for increasingly ancient and modern languages. 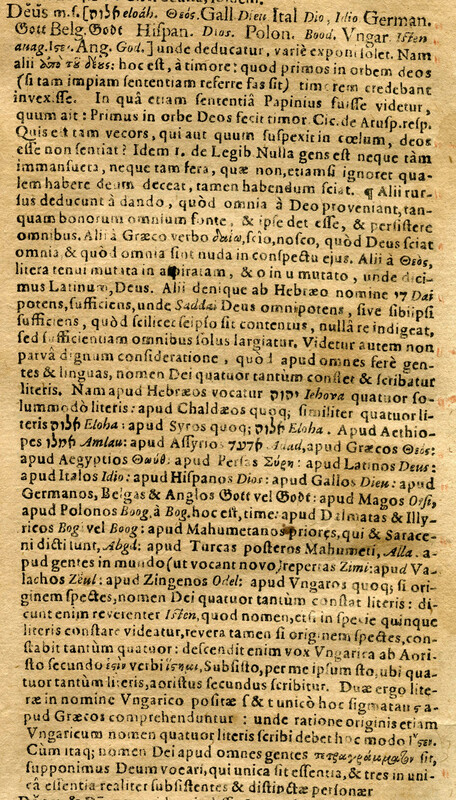 The 1590 Basle edition was the one which first included the Hungarian and English equivalents, thus it can be regarded as the first Hungarian dictionary. The Hungarian words, as Kálmán Szily pointed out (“Ki volt Calepinus magyar tolmácsa?” – “Who was Calepinus’ Hungarian interpreter?” Értekezések a Nyelv- és Széptudományok köréből, XIII (1886) 8), were added by the Transylvanian Jesuite Stephanus Arator, that is, István Szántó in Rome. 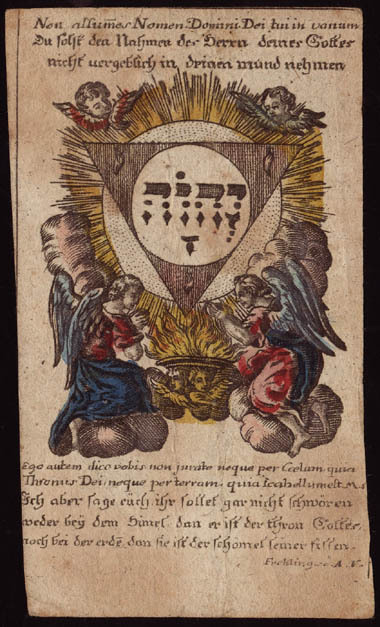 And the same person complemented the considerations on the four letters of God’s name with a Hungarian supplement, thereby also offering an etymology of the Hungarian Isten. “Dĕŭs, singular, masculine [in Hebrew אלוח eloah, Greek Θεός, French Dieu, Italian Dio, Idio, German Gott, Flemish Godt, Spanish Dios, Polish Bood, Hungarian Isten or Ιϛε * , English God]. Others derive it a dando, from ʻgiving’, because everything comes from God, the source of all good things, and He gives to everything the existence and survival. Others from the Greek δαίω, ʻto know’, because God knows everything, and everything is naked before His eyes. Again others from the name Θεός, replacing the unvoiced sound with a voiced one, and the o with u, and this is why we say Deus in Latin. Again others from the Hebrew name די Dai, ʻmighty, sufficient’, from which also the term Saddai comes, meaning the omnipotent or self-sufficient God, as it is well known that He is enough for Himself, He does not need anyone, but He alone pours out abundance to everyone. It is not unworthy to consider, that almost every people and language writes the name of God in four letters. In fact, the Hebrews call Him יהוה Yehova, with four letters, the Chaldeans also with four letters, אלוח Eloha, the Syriacs also אלוח Eloha; at the Aethiopians He is אמלו Amlau, at the Assyrians אדעד Adad, at the Greeks Θεός, at the Egyptians Θωύθ, at the Persians Σύρη, at the Latins Deus, at the Italians Idio, at the Spanish Dios, at the French Dieu, at the Germans, Flemish and English Gott or Godt, at the [Persian] Magi Orsi, at the Poles Boog, from bog, that is, ʻfear’, at the Dalmatians and Illyrians Boga or Boog, at the older Muslims, whom we also call Saracens, Abgd, at the Turks following Mohamed Alla, at the peoples discovered in the world called “new” Zimi, at the Vlachs Zëul, at the Gypsies Odel. 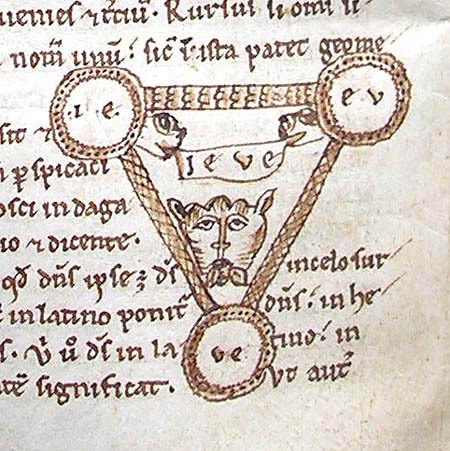 Ultimately, this is not very different from the solution of István Szántó, who, having transcribed the word in Greek letters, discovered in it the meaning of the other Hebrew tetragrammaton, יהוה YHWH, ʻthe Existing, the One who Is’. But why should we marvel at this? In his century it was widely known that all languages, but especially Hungarian, came from Hebrew. to a Hebrew speaker, this 4 letter word connotes urine: שתן, not very sublime. Thank you! :) Should it not be preceded by an א, in order to read the beginning י as an ʻi’ instead of a ʻy’? Wonderful! I'm posting it at LH, if you don't mind. One correction: "Magicians" should be "Magi" (I am making the change in my post to avoid confusion). Thank you very much! Now I have also corrected it (plus included two minor corrections). Eti commented Anshl’s proposal to transcribe ʻIsten’ like ישטן: This is even worse than ʻurine’, since שטן is Satan! The Iranian etymology of Isten is as farfetched as you can get. The plural of "honored"... how can such a notion be turned and twisted to have it mean "god"? does it make any sense, actually? Sounds like those many Indo-European etymologies making little logical sense but accepted for want of anything better - to conceal the embarrassing fact that in actual fact we haven't got a clue about the origins of those words. The stemming of isten from the Hittite god Istanu (Estan in Hattic), however problematic, is if anything else less incredible than the Iranian theory. According to the Italian glottologist Semerano, a slew of Indo-European words stem from much older Semitic roots, and who are we to assert with absolute certainty that a sacred name of god can't travel ages and countries to reappear in a different context?